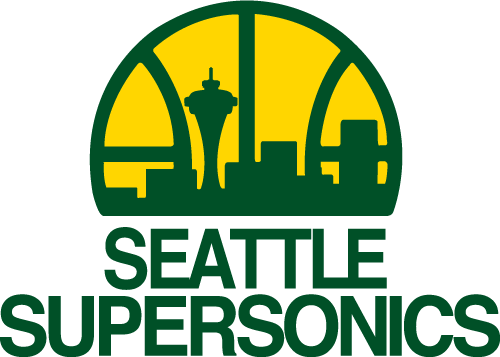 It has been through the help of local investors and a grass roots movement including our very own Kris “Sonics Guy” Brannon that our Seattle Supersonics appear to be on the verge of returning to Seattle. Thank you to Kris and everyone else involved for all of your hard work. As fans of Seattle sports, if there’s one thing we’ve grown used to it is disappointment. We’ve seen our teams reach some very high heights, and we’ve seen our athletes leave in the midst of those heights. We’ve seen three separate ownership groups step in as the savior of our three major sports teams, and only Paul Allen has kept the cape on long enough to earn our respect. That’s not to say that the Nintendo group that owns the Mariners haven’t owned a team as long as Allen has, just that our respect for them has diminished considerably over the past decade. So I understand the skepticism and the bitterness of some fans. I don’t think that should stop anyone from reveling in what will go down as one of the best days in Seattle sports history, the day that Chris Hansen, Steve Ballmer, and the Nordstrom brothers brought basketball back to Seattle. The Hansen group has reached an agreement with the Maloofs to buy 65 percent of the Sacramento Kings, enough to have a controlling interest, at a value of $525 million. The reason I use that goofball terminology is that nobody I’ve heard has established a good way to explain this in a simple phrase. The Hansen group will pay about $340 million, which if extrapolated out from 65 percent to 100 percent brings you to $525 million. That in mind, the one remaining potential hurdle is Kevin Johnson. He’s attempting to assemble local investors to put together an offer that in some ways trumps the Hansen group’s offer. And the NBA seems to be willing to listen, though it may be hard to find a bunch of investors who’d like to invest money into an organization that just sold at a functional price $225 million north of the Forbes estimated value of $300 million. Even then, Forbes value seems to be driven partially by the fact that the Kings had a transportable lease, so their value to an owner looking to move them to a viable area—of which there seems to be many (Kansas City, Virginia Beach, Seattle)—is actually higher than it may be to a local ownership group. This isn’t a slam dunk, and the Environmental Impact Study (EIS) still looms—albeit relatively lightly—over the head of a possible new arena. One has to assume that Hansen and his group wouldn’t have come this far if they didn’t at least have the potential to negotiate alterations to their plans—be they contributions to environmental improvement infrastructure or something else—were they to fail the EIS. So it’s a good day for Sonics fans. The game isn’t completely over, and there’s still some work to be done, but for now all signs point to the Sonics playing their first game since 2008 this upcoming season. It’s fine to feel happy and still feel bad for Kings fans, too. The Kings are a team that is tradition-rich in Sacramento, and unfortunately also tradition-rich in the history of relocation. There’s a really good chance that losing the Kings will hurt the quality of life in Sacramento much more than losing the Sonics hurt the quality of life in Seattle. Most of us feel pretty awful about that, but take solace in the notion that this team was probably headed out of town whether they were on their way to Kansas City, Virginia Beach, or Anaheim. It’s too bad that it had to happen, but it’s not for lack of support from the NBA or local politicians. Kings fans watched their local government and their league fight hard to pry the team from greedy, terrible owners’ hands, and they were unsuccessful. Chris Hansen may be painted as a villain in Sacramento, and he may ultimately have to relocate to Seattle from the Bay Area considering how much of a villain he’s bound to become. But he’s not Howard Schultz. He’s not Greg Nickels. He’s what Clayton Bennett is: A hero a couple hundred miles away from where he’s the antichrist. But he’s our hero, and for now it looks like this is our team. Everyone involved would have preferred a cleaner method of acquiring a team, but if given the choice between benefitting from an unavoidable evil and never having a team again, Seattle is making the right choice. I mostly agree, except that I wouldn’t compare Hansen to Bennett… at least Hansen is forthright and honest about his intentions to move the team. Can’t say the same for Bennett. I certainly see your point. That’s not how Sacramento will view him though.